Passports are currently required for reentry into the United States, any time a citizen has traveled outside the borders of the United States, including locations which previously did not require them. In the past, citizens could easily travel to and from, Canada and Mexico, in the absence of a passport. Due to new and strict regulations, that is no longer the case. In addition, most countries will also require Americans to have a valid passport when entering any country. Those passports may also be required when an American citizen in traveling within another country. 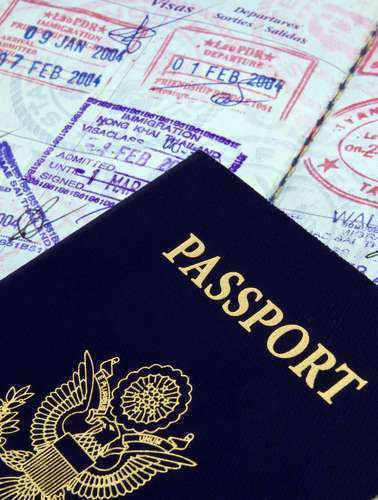 In some countries, police and border patrol agents, conduct random searches and often require a passport for proof of legitimate and legal travel. Also, countries that require travel or work visas, will expect travelers to have their passport as proof or rights to be present in that country for a specific purpose, at all times. Those citizens that are applying for their passport for the first time, must apply in person. Most renewals can be handled through the mail. In either case, the required documents remain consistent. Individuals must be United States citizens and they must be able to prove that fact. In addition, proof of legal name is also required. Any documents utilized as proof of fact for obtaining or renewing a passport, must be original and in good condition. In some cases, citizens my find they their birth certificate will not be accepted do to increased incidences of fraudulent documents from certain jurisdictions. In that case, citizens simply need to have a new birth certificate issued, which could delay their passport application process. There are in fact, many intervening factors that could delay the application process and citizens should apply for their passport well in advance of any planned trips. Obtaining a passport is generally quite simple, as long as applicants have the required documentation. Those documents must be originals and without damage or alteration. Most Americans have proof of identity and citizenship readily available because that documentation is often necessary for other applications, such as a drivers license or marriage certificate. However, those that do not have that documentation, can easily obtain it by requesting it in person or through the mail. Birth certificates must be original and have the raised seal of the county of birth. Some American citizens may find that their original birth certificate is no longer valid because of an increased incidence of fraud. In that case, citizens should request a new birth certificate well in advance. Those individuals will be required to provide some proof of their birth and birth location, in order to be issued one of the new birth certificates. Applicants for new passports must apply in person and most Americans will find a passport agency located fairly near by to their homes. However, it is advised that citizens fill out all paperwork before arriving at the agency. In this way, citizens can avoid the potential of missing documentation or required proof of citizenship. Citizens applying for their first passport, should expect to pay around one hundred and sixty dollars for the total process, including the required passport photos. However, the price of a passport can be altered due to certain intervening factors, such as an expedited passport request. New passports take around five weeks to process, unless the agency encounters any application problems, or a backlog in applications. Individuals that are unable to provide proper identification and citizenship documentation, have the obtain of paying the passport agency to conduct a background check as proof of facts. There is an additional fee for that service and citizens should allow plenty of extra time to have the background check conducted. Passports for minors, require the same proof of identity and citizenship as those issued to adults. Minors must provide a birth certificate with the raised seal of their county of birth. In addition, parents must provide their social security number. There are also special forms associated with the application process for passports issued to minors. There has been an increase in custodial interference cases, in which non custodial parents flee the country with their children. Due to those types of crimes, there is an increased vigilance in passport applications for minor children. A parent that has sole custody of the child, must provide proof of that fact. If more than one person has custodial rights to a child, each adult must consent to the passport application by signing all necessary paperwork. Passports issued to minors under the age of sixteen, expire after six years as opposed to ten years for passports issued to adults. Processing a passport application generally takes four to six weeks. However, the passport agency cannot guarantee processing time unless a citizen chooses to pay a fee for an expedited passport. In the absence of the expedition fee of sixty dollars, passports can be delayed due to several factors. On occasion, passport agencies experience a back log of applications which can delay the process. The summer months are particularly prone to an extended wait time for passports. In addition, natural disasters can add to the backlog of passport applications that the agency is trying to process. Issues of national security can also influence the time it takes for the passport agency to process a passport applications. In some cases, citizens are not able to provide the necessary proof of identity and citizenship. However, they still may be able to obtain a valid United States passport if they pay sixty dollars for a background check. If that background check can prove their identity, they will likely be approved for a passport. However, that process generally takes longer than the average of four to six weeks. Expedited passports are sometimes a necessity. Families that have suddenly decided to take a trip abroad, may find that the average waiting period of four to six weeks, does not meet their needs. In other cases, families experience family medical emergencies, other emergencies, or the death of a family member. In that case, they can use an expedited passport application. Whenever a citizen requires a quick passport, they are required to pay an additional fee of sixty dollars. That fee helps to ensure that applicants receive their passport as soon as possible. In cases of emergencies, families can generally go directly to their local passport agency to request to have passports expedited. It is recommended that applicants attempt to make an appointment before heading the passport agency, as each agency may have a differing policy regarding the passport expedition process. In addition, they can be sure to tell applicants the exact paperwork necessary to complete the application process. This can be helpful in avoiding any delay in the application process. In emergencies, the passport agency may require proof of the emergency, in order to complete the passport application in the necessary time frame. How Do Minors Get New Passports? How Does Dual Citizenship Work?